There are many ways to enjoy the wonderful music and videos. You are able to listen to the online songs and videos if you have Wi-Fi connection. However, sometimes we want to enjoy the videos or songs but there is no internet environment. So many people like to buy or rent the DVDs for playing on computer or Mac. Do you have any DVDs? Have you ever thought to rip these songs from DVD to iPod for listening anytime and anywhere? Do you want to copy the videos from DVD to iPod? For instance, you are walking on road, climbing the mountain, or taking exercise on gym, do you want to enjoy the music with iPod at the same time? That will be awesome! If you have DVDs and want to enjoy the contents (including videos and audio) on iPod, you may need to rip them out from DVD and convert to iPod supported video and audio formats. Tipard DVD to iPod Converter, best DVD iPod Conversion app, is mainly designed to convert any DVD to iPod compatible formats: MP3, AAC, WAV, AIFF, MP4, M4V, MOV, M4A, MP4, etc. Apart from converting DVD to iPod video/audio, it can also help you edit video with trim, crop, watermark, rename, merge and other editing functions. Why Choose Tipard DVD to iPod Converter? Tipard DVD to iPod Converter provides a professional solution to rip the DVD to iPod supported video formats such as MP4, MOV and extract audio from DVD and save as audio formats such as MP3 and WAV. The whole process is simple and it won't take you too much time. This DVD iPod Converter supports all Apple devices, including iPod Touch, iPod Nano, iPad mini, iPad mini 2, iPad mini 3, iPad mini 4, iPad Air, iPad Air 2, iPad Pro, iPhone 5, iPhone 5S, iPhone 6/6 Plus, iPhone 6s/6s Plus and Apple TV, Apple TV 2, Apple TV 3. As professional DVD to iPod Converter software, it is easy to rip any DVD disc/Folder and IFO files to HD video formats within minutes. And you are absolutely able to edit the video before converting to any video and audio formats. How to user this DVD Video Converter for ripping DVD to iPod? Free download this DVD to iPod Ripper and install on your Windows computer. Follow the next steps, so you are able to play your music, videos and movies on iPod and other multimedia players. 1. Load DVD disc/folder/IFO files to this software. The loaded DVD will show on the interface of this DVD Ripper. 2. You are able to preview the video on the right window. Or if you added the music DVD, you can also pre-listen the wonderful music before converting. 3. Choose the output format from Profile drop-down button. There are more than 300 video and audio formats for your information. You are able to convert your DVD to any iPod supported formats. For example, if you want to convert the DVD to MP4, you can choose MP4 as output format. Or if you want to rip music DVD to MP3, you can just choose MP3 as output format. 4. Edit the videos. You are allowed to rotate the video angle, adjust 3D effect, crop video frame, add watermark and more editing functions here to make your output video more vivid. 5. Rip the video with Convert button on the main interface. Rip DVD to iPod MP4, M4V, MOV video and MP3, M4A audio etc. Powerful editing function: trim, crop, effect, watermark, preview, snapshot, merge, etc. 6X faster conversion speed and super-high output video quality to convert DVD to iPod. The build-in player enables users to preview window and capture picture with snapshot. Merge several DVD title/chapters into one with set order. Rename the original video before DVD to iPod Conversion. 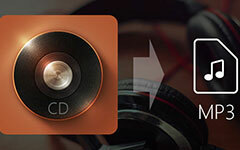 In this tutorial, you will learn to rip CD to MP3 and other audio format using Windows Media Player, iTunes and third party programs. Does DVD plays on PS4? Follow our tutorial to learn multiple ways to play DVD on the device directly or rip DVD for playback DVD content. When you need to convert DVD for Smartphone or online, you need to know how to convert DVD to MP4 from the article. Want to enjoy Insanity DVD on smart TV as well as phone? 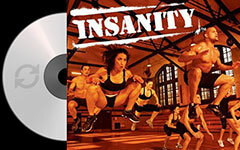 Just learn more detail about Insanity workout DVD and the way to rip DVD for more devices.